Fetch.AI aims to create a decentralized digital network that facilitates an infinite number of marketplaces and user interactions and acts as a conduit for a new world of economic activity. 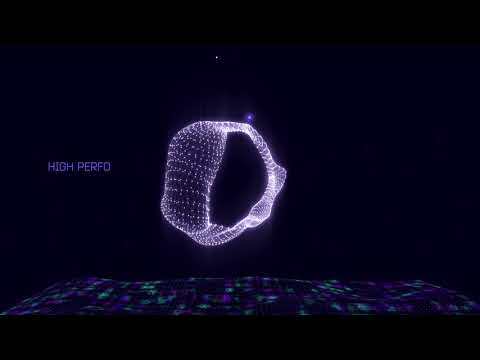 Fetch.AI is built using an extended version of distributed ledger technology (DLT), and incorporates Artificial Intelligence (AI) and Machine Learning (ML) technology, combined with advanced measures of a trust protocol, to create a platform where autonomous software agents, working on behalf of their stakeholder (human owners, organisations, corporations) perform tasks such as delivering data or providing services. Afghanistan, Albania, Belarus, Bosnia and Herzegovina, Burundi, Central African Republic, Cote d'Ivoire, Mainland China, Cuba, Democratic Republic of Congo, Ethiopia, Guinea, Guinea-Bissau, Iran, Iraq, Lebanon, Liberia, Libya, Mainland China, Malaysia, Myanmar (Burma), North Korea, Republic of Macedonia (FYROM), Serbia, Somalia, South Sudan, Sri Lanka, Sudan, Syria, Thailand, Trinidad and Tobago, Tunisia, Uganda, Ukraine, United States of America, Venezuela, Yemen, Zimbabwe. I totally like the idea of the project. Firstly it looks like a futuristic project but when you get into details, you can find that there are a lot of use-cases of their product. They have a prominent team and advisers. Moreover, this is not an ICO, it's IEO that will take place on Binance Launchpad. I'm sure that Binance will support this project in the future in terms of media support. The project has already reached a hardcap. Viability: Really strong differentiator in the market as they integrate ML and AI to improve the data management. Product: Innovative product allowing the autonomous exchange of information. However, they need to prove their capacity to deliver a such challenging "spec". AI and ML are not easy to develop and can create quickly entropy in term of h/w needs. Team/Management: Engineers, developers, and scientists with experiences (Google, Sony, Bloomberg, and Nokia). backed by Cambridge Professors..(almost 50% of the team are PhD holders). Top technical advisors (Phd or c-level of big companies). Saavy entrepreneurs and investors. Deal structure: Supported by investors and major partnerships. backed by Binance!!! KYC is therefore validated. It is ok to reach the token sell cap, but a such project should do better in term of social media marketing. I wish a successful adventure for this company.